Pheasant RUn, and active adult community in Lacey.Forked River. Pheasant Run Lacey is an Over 55, Active Adult community located in the historic Forked River section of Lacey Township, NJ in Ocean County. It’s great because it’s located east of the Garden State Parkway, near Barnegat Bay. In fact, Forked River is an unincorporated area located within Lacey Township. Consequently, many people refer to all of Lacey Township as Forked River. Because it’s located on the Barnegat Bay, there are multiple marinas for boaters. Pheasant Run Lacey has a homeowners association, therefore a monthly HOA fee will be assessed. The HOA covers lawn maintenance and snow removal. As a result, you don’t. As with many active adult communities, there is a one-time membership fee to be paid by the buyer at closing. Either 1 cat or 1 dog are allowed . In the mid 1980s, 434 homes were built in Pheasant Run Lacey. The homes in Pheasant Run offer 2 bedrooms, 2 baths and a 1 car garage. These detached, single family homes generally range in size from 1,300 Sq ft to 2,000 sq ft. At this time, homes are selling in the lower to mid-level price range. At the Pheasant Run Lacey clubhouse you’ll find an assortment of amenities, such as a fitness center, billiards, tennis and much, much more. It’s the social center of the community and is utilized by residents for clubs, socials and other large events. Also, there’s an exercise area for those who want to stay in shape. And when the weather warms up, there’s an outdoor heated pool, Nearby you can enjoy local activities such as fishing, boating, golf, shopping, dining and more. While Pheasant Run doesn’t have a golf course, there are many courses available in Ocean County. 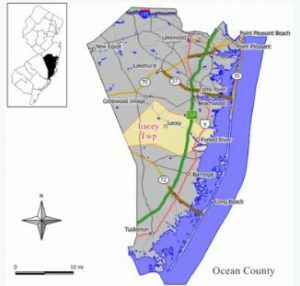 The Ocean County transit system provides bus transportation throughout Ocean County. The Reserve-A-Ride Program provides door-to-door, non-emergency medical transportation service to seniors (age 60 and over). There’s a fee charged,however, advance reservations are necessary. In addition, Ocean Ride has 12 local bus routes to shopping, other adult communities and more. When you’re ready to either buy or sell a home in Pheasant Run Lacey, contact us. Call Bunny and Art Reiman – the Active Adult Community Specialists.